Have you heard about pulse oximetry? 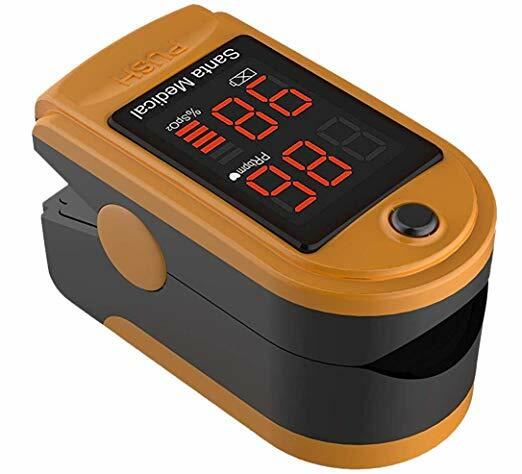 If you haven’t, here’s something that may be useful to you and you should also know about the health equipment known as pulse oximeter because you may need the Amazon bestseller pulse oximeter in the USA anytime in your life. Oxygen is an element we need for living. We can live without anything else at least for some days, but we can’t live without oxygen even for a couple of minutes. And oxygen not only flows in our respiratory system. It’s a gas that our every system needs to survive. If in a certain system oxygen is absent, cells there start malfunctioning and ultimately die. This cell death can result in serious symptoms and eventually cause organ failure. Body takes in oxygen through inhalation and sends it to the organs after filtering through the lungs. Next the lungs distribute oxygen in the blood with the help of proteins named hemoglobin in red blood cells. Hemoglobin provides oxygen to the various organs. Pulse oximetry is a technique that measures the proportion of oxygen in hemoglobin i.e. oxygen saturation. Usually oxygen saturation signifies how much oxygen is reaching the organs. Healthy oxygen saturation levels are from 95 to 100 percent. When they are below 90 percent, they are considered abnormally low and can create a clinical emergency. A pulse oximeter is a clip-on device that measures oxygen saturation. It may be attached to wrist, finger, foot or any other organ where it can read blood flow. It passes a light through a fairly transparent part of the skin. There is a detector located on the other side of the skin through which the light shines. For example, if a pulse oximeter is attached to a finger, its one side shines the light, while the other detects it. Oxygen saturation is indicated by the amount of light absorbed by the blood. The device doesn’t measure oxygen saturation directly, but does that by using a complex equation and other data. The Oxygen Saturation Monitor by Santa Medical is the bestselling pulse oximeter on Amazon in the USA. It’s useful for those who have disorders that affect oxygen saturation. These conditions include sleep apnea, severe snoring or any other breathing interventions. The device is also recommended by doctors to assess the safety of physical activities in patients of respiratory problems or cardiovascular disease. It’s also used as a part of stress test. Pulse oximeters are also used for vulnerable patients. E.g. they are attached to the infants in neonatal intensive care units to alert staff of a fall in oxygen saturation. 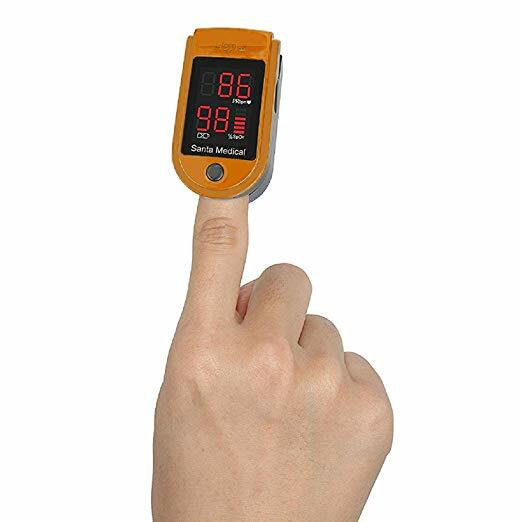 A pulse oximeter is thus a very useful medical device you should use to measure a very essential element our body needs – oxygen!